For the current Field List, Photos and Official Program, please click here. 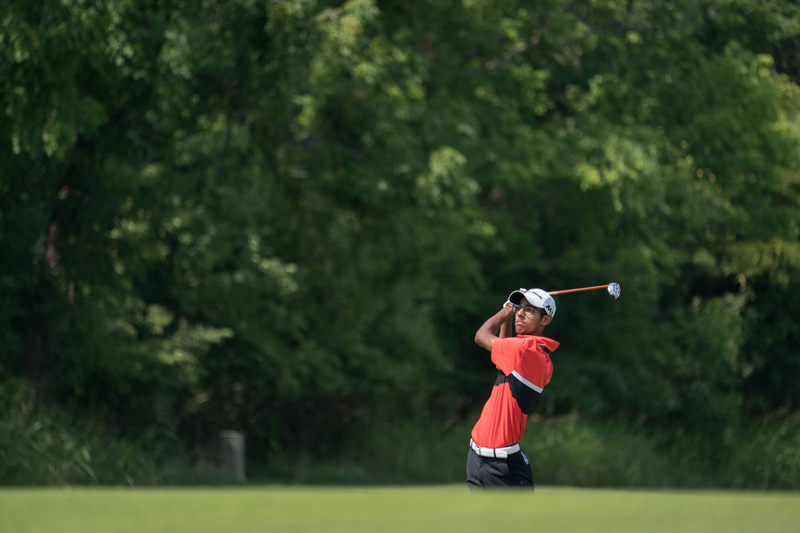 LOUISVILLE, KY. (July 24, 2018) – Akshay Bhatia made a grand entrance on the junior golf scene last year, when he rewrote a large piece of the Boys Junior PGA Championship record book, highlighted by a blazing 61 during the second round. His winning total of 22-under par 266 broke Pat Perez’s 24-year old record by five strokes. Michael Thorbjornsen, 16, Wellesley, Massachusetts – Thorbjornsen captured the 2018 U.S. Junior Amateur at Baltusrol Golf Club over Akshay Bhatia this past weekend, clinching an automatic spot on the U.S. Junior Ryder Cup Team. With the win, he also earned exemptions into the 2018 U.S. Amateur and 2019 U.S. Open at Pebble Beach. A contestant in the 2018 Wyndham Cup, he also finished T-5 in the 2017 Rolex Tournament of Champions. Thorbjornsen also won his age group (14-15) at the 2016 Drive, Chip & Putt Championship at Augusta National Golf Club. 5 Kentucky natives in the field – Bowling Green’s Canon Claycomb, 16, an Alabama commit; Owensboro’s Daniel Love, 16; and Louisville’s Campbell Kremer, 17, (great-grandson of Valhalla Golf Club Founder Dwight Gahm), Kentucky commit Jay Kirchdorfer, 18; and LSU commit Drew Doyle, 16, (grandson of Kentucky golf legend Moe Demling). Jake Beber-Frankel, 16, Miami – The son of Academy Award and Emmy Award winning Director David Frankel (directing credits include Devil Wears Prada, Marley & Me, Band of Brothers and Entourage), Beber-Frankel, 16, is one of the most colorful junior players, with his impressive long, flowing hair. His twin sister, Phoebe, is also a top junior player and often caddies for him. His grandfather, Max won a Pulitzer Prize for his New York Times coverage of President Nixon’s trip to China in 1973. Jake Beber-Frankel is a Stanford commit for the Class of 2020.